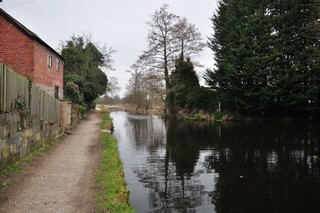 Looking to the North-East, the Montgomery Canal to the South-West of Causeway Lane Bridge No.94. Les regards portés vers le Nord-est, le Canal de Montgomery au Sud-ouest du Pont n°94 de la Causeway Lane. 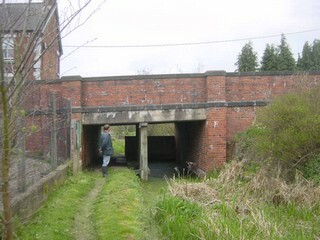 Causeway Lane Bridge No.94 seen from the South-West. Le Pont n°94 de la Causeway Lane vu du Sud-ouest. 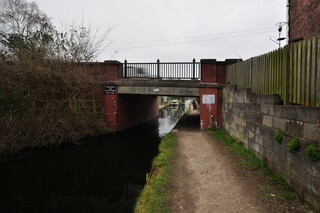 Causeway Lane Bridge No.94 seen from the North-East. 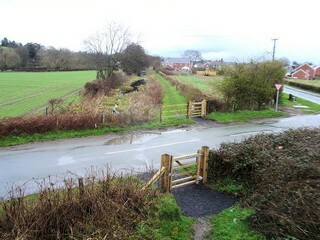 Le Pont n°94 de la Causeway Lane vu du Nord-est. 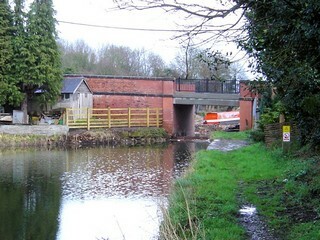 Causeway Lane Bridge No.94 seen by Google Earth. Le Pont n°94 de la Causeway Lane vu par Google Earth. 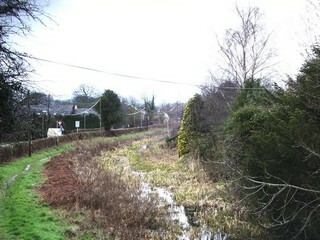 Looking to the South-West, the Montgomery Canal seen from Causeway Lane Bridge No.94. Les regards portés vers le Sud-ouest, le Canal de Montgomery vu du Pont n°94 de la Causeway Lane. 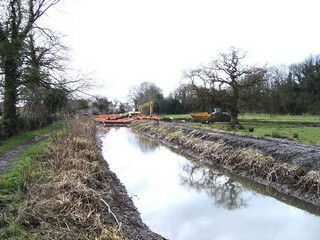 Looking to the South-West, the Montgomery Canal seen from below Causeway Lane Bridge No.94. Les regards portés vers le Sud-ouest, le Canal de Montgomery vu de par-dessous du Pont n°94 de la Causeway Lane. 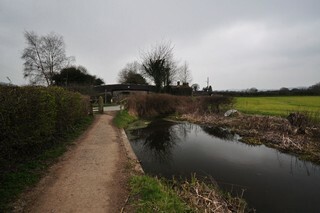 Looking to the North-East, the Montgomery Canal seen from below Causeway Lane Bridge No.94. Les regards portés vers le Nord-est, le Canal de Montgomery vu de par-dessous du Pont n°94 de la Causeway Lane. Wall’s Bridge No.93 seen from the West. Le Pont n°93 de Wall vu de l'Ouest. 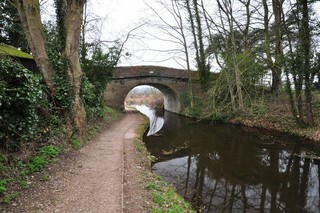 Looking to the West, the Montgomery Canal seen from below Wall’s Bridge No.93. Les regards portés vers l'Ouest, le Canal de Montgomery vu de par-dessous du Pont n°93 de Wall. 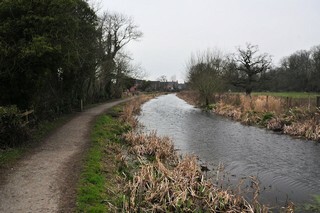 Looking to the East, the Montgomery Canal seen from Wall’s Bridge No.93. Carreghofa Lane which originally passed over the bridge now passes over a flatted bridge that completely blocks the canal. Les regards portés vers l'Est, le Canal de Montgomery vu du Pont n°93 de Wall. La Carreghofa Lane qui passait par le pont a été déviée par un barrage qui ferme le canal. Wall’s Bridge No.93 seen by Google Earth. Le Pont n°93 de Wall vu par Google Earth. Carreghofa Lane seen from the East. La Carreghofa Lane vue de l'Est. 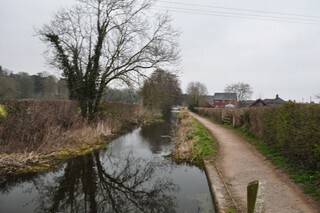 Looking to the East, the Montgomery Canal seen from Carreghofa Lane. Les regards portés vers l'Est, le Canal de Montgomery vu de la Carreghofa Lane. 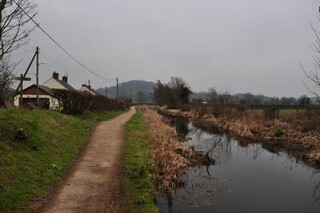 Looking to the East, the Montgomery Canal to the West of Llanymynech Bridge No.92. Les regards portés vers l'Est, le Canal de Montgomery à l'Ouest du Pont n°92 de Llanymynech. 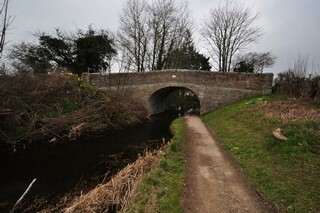 Llanymynech Bridge No.92 seen from the West. 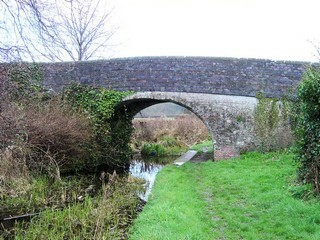 Le Pont n°92 de Llanymynech vu de l'Ouest. 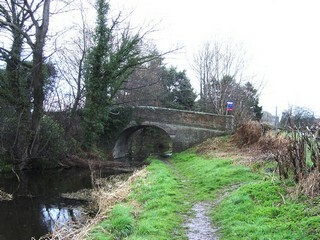 Llanymynech Bridge No.92 seen from the East. 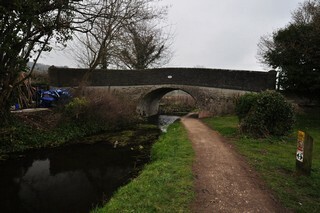 Le Pont n°92 de Llanymynech vu de l'Est. 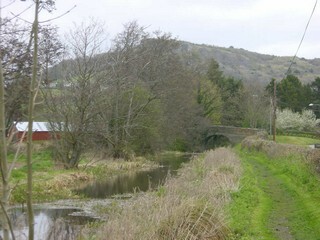 Llanymynech Bridge No.92 seen by Google Earth. Le Pont n°92 de Llanymynech vu par Google Earth. 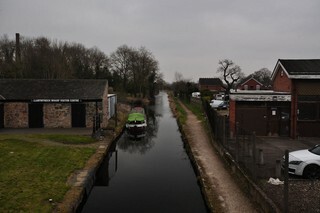 Looking to the West, the Montgomery Canal seen from Llanymynech Bridge No.92. 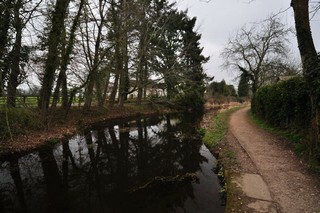 Les regards portés vers l'Ouest, le Canal de Montgomery vu du Pont n°92 de Llanymynech. 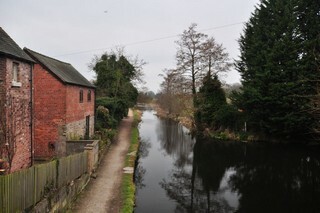 Looking to the East, the Montgomery Canal seen from Llanymynech Bridge No.92. 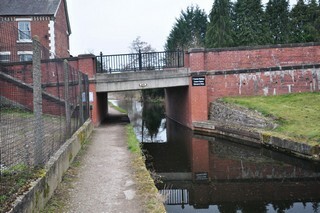 Les regards portés vers l'Est, le Canal de Montgomery vu du Pont n°92 de Llanymynech. 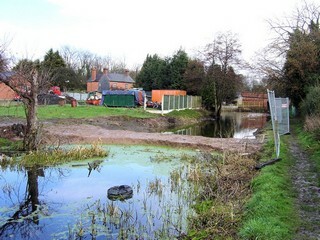 Looking to the West, the Montgomery Canal seen from below Llanymynech Bridge No.92. Les regards portés vers l'Ouest, le Canal de Montgomery vu de par-dessous du Pont n°92 de Llanymynech. 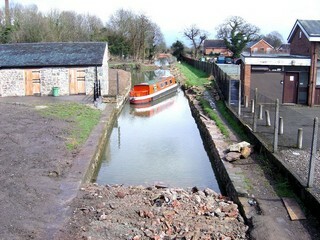 Looking to the East, the Montgomery Canal seen from below Llanymynech Bridge No.92. 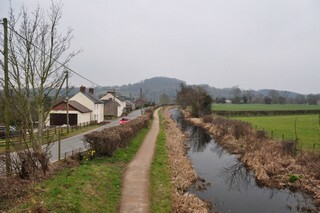 Les regards portés vers l'Est, le Canal de Montgomery vu de par-dessous du Pont n°92 de Llanymynech. 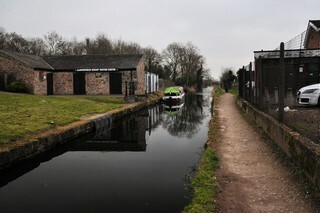 Looking to the West, the Montgomery Canal to the East of Llanymynech Bridge No.92. Les regards portés vers l'Ouest, le Canal de Montgomery à l'Est du Pont n°92 de Llanymynech.